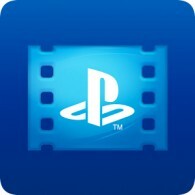 Posts tagged "PlayStation Video Store"
Sony has announced that the PlayStation Video app is now available on Android phones in supported territories, letting you access Sony’s catalogue of movies and TV shows. 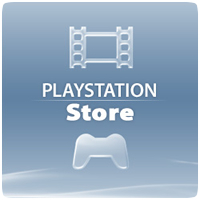 If you have previously purchased content through the PlayStation Store, you can access those too via the Library. Sony Entertainment Network has finally launched a new service called “Instant Play” that allows users to stream standard or high definition films instantly on the PS3. Apps like Amazon Instant and LOVEFiLM have used instant streaming since launch, but it’s taken Sony far too long to catch up. South Park has been going fifteen years, and to celebrate the show’s sixteenth series, PlayStation are offering the first episode of the latest run completely free to download. South Park Season 12, Episode 1 can be downloaded for free from the store, and weighs in at 361 MB. New Releases on the US PlayStation Store include Fox Searchlight critically acclaimed film Win Win, Phineas and Ferb: Across the 2nd Dimension and the beginning of the second part of Doctor Who: Season 6. The 99¢ Movie Rentals also continues this week with great titles like The Great Debaters and School for Scoundrels. This week on the US PlayStation Video Store, you can find Bradley Cooper and Robert De Niro star in the thrilling blockbuster Limitless. Top Downloads is full of all the hottest movies, including Tekken, Insidious and Arthur. Plus, you’ll find top television shows like the first episode of the new Mortal Kombat: Legacy series. On the US PlayStation Video Store this week, you can find Rango in the New Release Section; Insidious, The Lincoln Lawyer and Sucker Punch in the Top Downloads section. Plus, you’ll also find some of the hottest TV shows today, including Futurama, White Collar, Warehouse 13 and Teen Wolf. This week on the PlayStation Video Store you can find the Jake Gyllenhaal thriller Source Code, which doesn’t hit DVD and Blu-ray until the end of the month, but you can own or rent it now in both HD and SD on the PS3. Top Downloads is filled with the hottest films on the store today. This week, great movies like Sucker Punch, Battle: Los Angeles and Unknown top the charts. On the US Video Store this week, you can find The Adjustment Bureau in the New Releases section. In Top Downloads, you’ll find the hottest content, including Sanctum, now available at a special low price. Other new releases include The Eagle, Cedar Rapids and Diary of a Wimpy Kid: Rodrick Rules. New Release on the US PlayStation Video Store this week include Battle: Los Angeles, the hilarious Hall Pass, and Red Riding Hood. The Top Downloads section this week include Harry Potter and the Deathly Hallows, Part 1, as everyone gets ready for the release of the final film in this magical series later this summer.